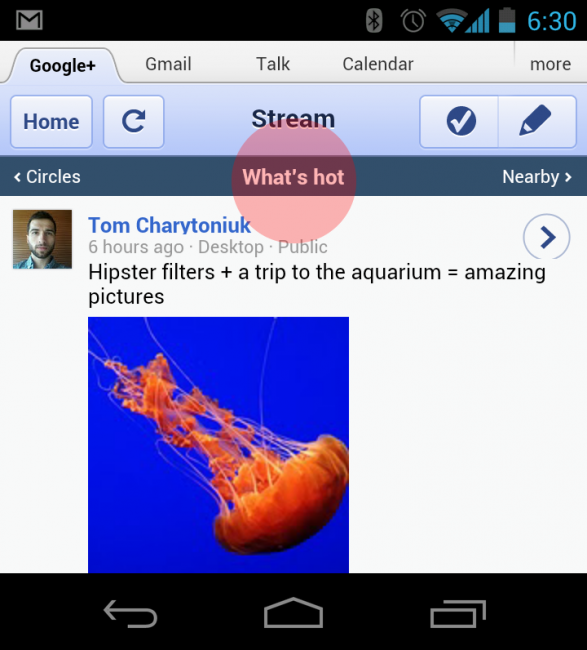 With What’s Hot, you can now see some of the most interesting content being shared on Google+ with a flick of your thumb. To use it, just swipe to the right of your Circles stream. To see who +1’d a post in the stream, just click on the +1 count underneath the post. It’s a small improvement that makes it easier to engage with others around content. Gettin’ better by the day.